Out With the Old or "A Ditcher's Dilemma"
Some decisions are hard to make. 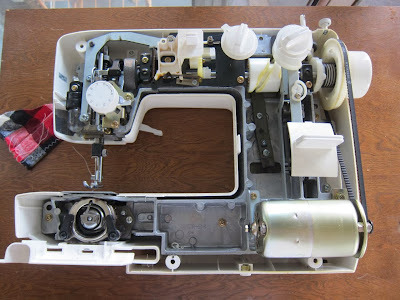 Friends, after buying a car, is there any purchase more fraught than that of a sewing machine? 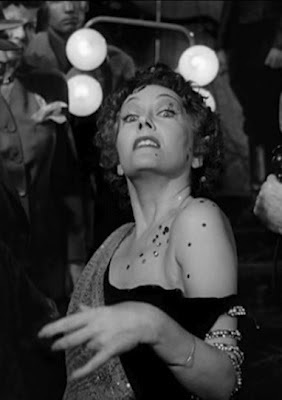 I'm finally ready for my close-up, readers! 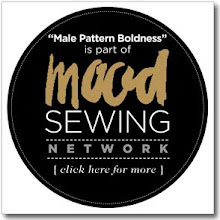 What Turns a Man On....To Sewing? 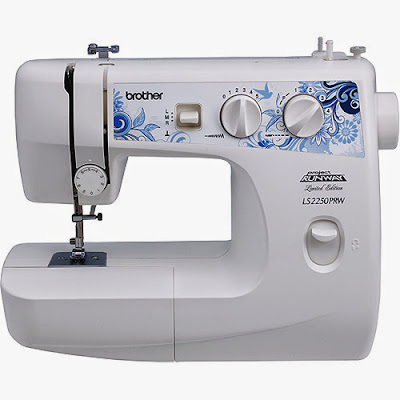 Friends, in your opinion, what turns a man on to sewing? I can't explain it but for some reason I am very magnetic to stuff. 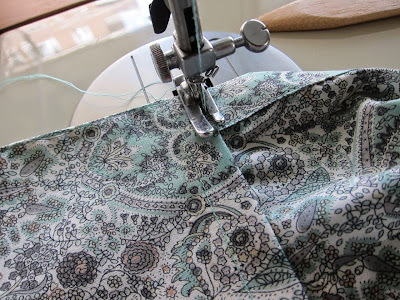 Flea Market Finds + New Fabric, New Friends, New Pattern! 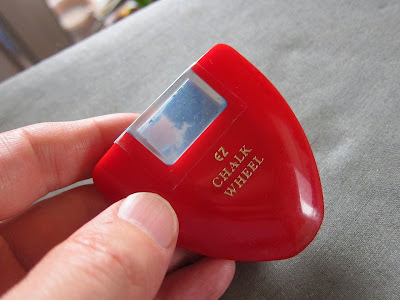 Do you use a chalk wheel, readers? I never have but I've always been curious about them. I found this red one at the flea market today in a pile of old sewing notions and now it's mine. I'm very excited to try it. 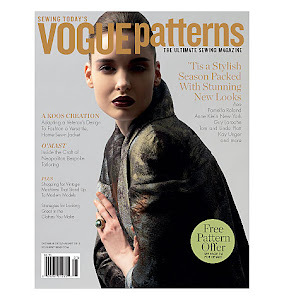 NAME THAT PATTERN - Spring 2014 Edition! 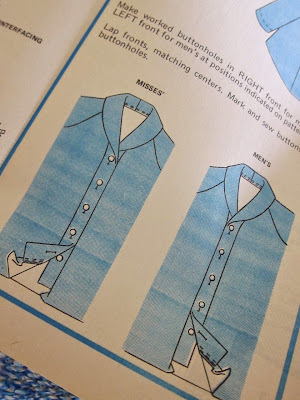 Friends throughout the world, it's time once again to play the sewing blogosphere's favorite pattern-naming game, NAME THAT PATTERN! Peter Models the Shawl-Collar Cardigan! 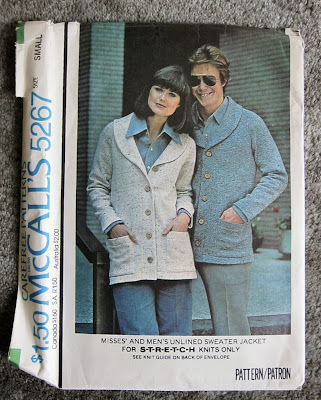 Exciting news, friends -- You will not have to wait another moment to see me model my just-completed cotton cardigan! 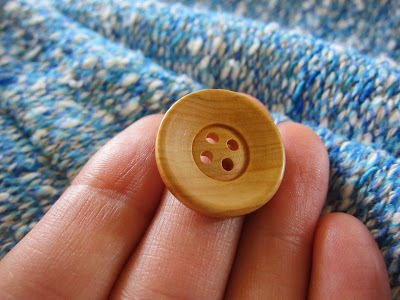 What's a men's cardigan sweater without buttons? 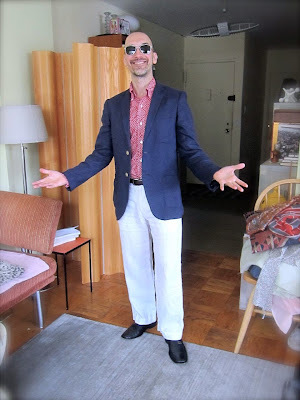 With my mother's robe out of the way, my menswear sewing class completed, and the double-breasted toile de jouy blazer put aside, it's time for me to return my attention to my shawl-collared cardigan. 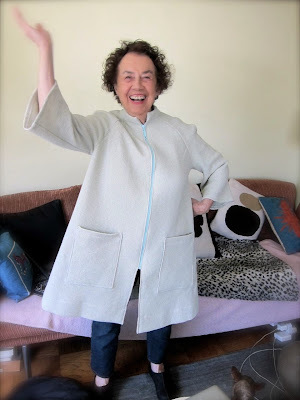 Sonia (Mom) Models the Completed Pique Robe! I FINALLY finished my mother's cotton pique robe! Look what arrived in the mail today, readers! 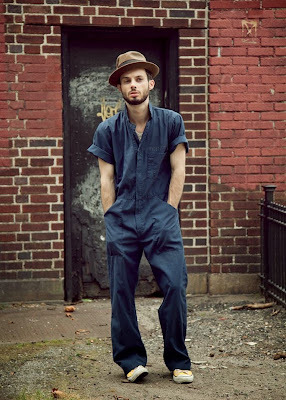 Men's Jumpsuits -- YEA or NAY? There are some looks that only work when you're cute, work on cars for a living, or both. 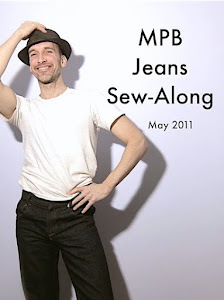 Labels: mens fashion, YEA or NAY? 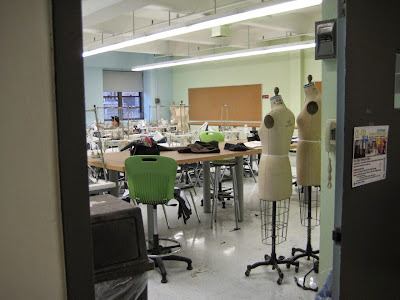 Friends, I am well aware that after my spring break last month, I stopped providing weekly updates of my menswear sewing class at FIT. 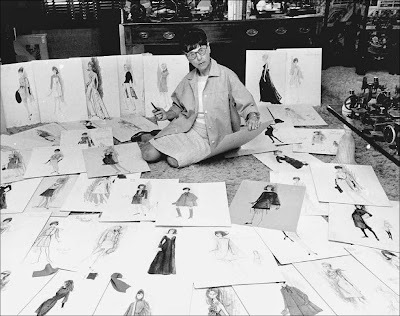 What is a Fashion Designer and Do You Consider Yourself One? You're out in public wearing something you made and somebody asks you where you got it. You explain that you made it. This person immediately asks "Are you a fashion (or clothing) designer?" 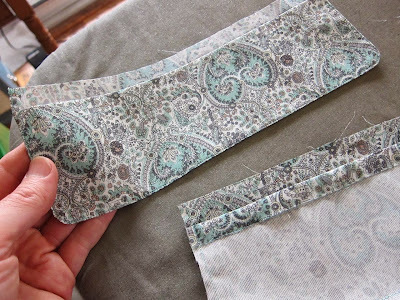 Which Fabric Should I Use For My Double-Breasted Suit? It's official: vintage pattern Butterick 5384, with a few minor alterations (mainly length; I shortened it an inch), fits nicely. The double-breasted suit project is a "go." You'd have to be living under a rock not to know that this month is Me-Made-May. PETER PRAYS! "Please make my double-breasted suit muslin WEARABLE!" 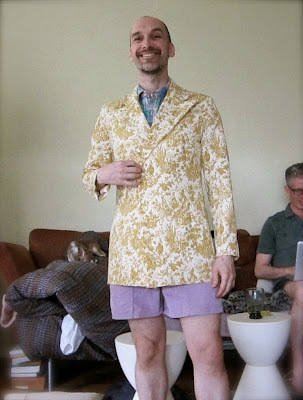 Friends, a quick update: I have set aside my shawl-collared knit cardigan project and plunged head-first into my double-breasted suit jacket project. 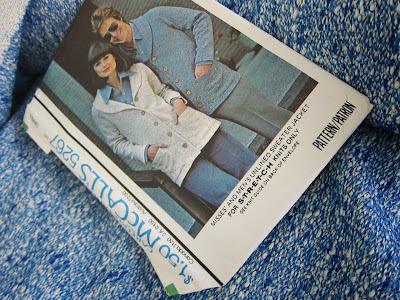 Thinking Cotton Cardigans + Pocket-palooza! 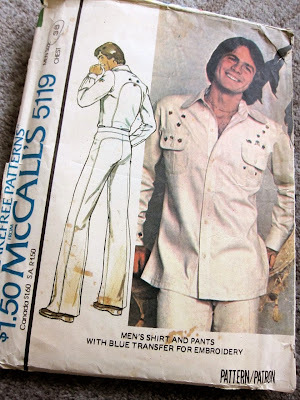 McCalls 5267 (above) which dates from 1976 and isn't hard to find online, looks like a fun, relatively quick project -- perhaps my next one. Are You a Pucci Person? I am not a Pucci person, readers. 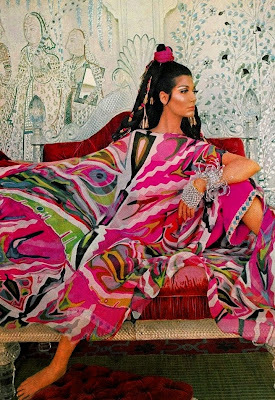 Like Peter Max or Lily Pulitzer, Florentine designer Emilio Pucci was endlessly knocked-off in the 60's and 70's. 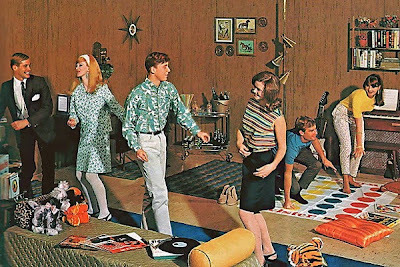 My hunch is that most people my age have seen too many cheap imitations over the decades to appreciate the originals. Double-Breasted Suits -- YEA or NAY? Friends, what do you think of double-breasted suits? 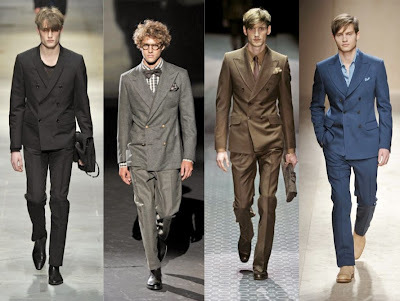 Labels: mens fashion, mens suit, YEA or NAY? 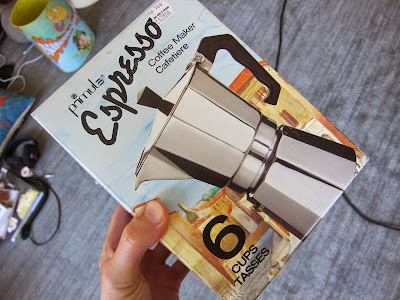 Spring at Last + Flea Market Finds! 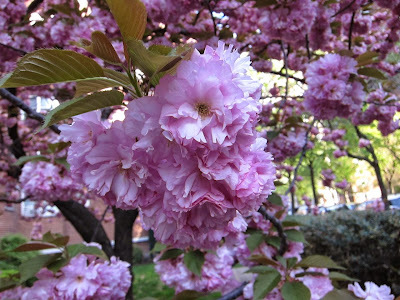 Is May the prettiest month of all? 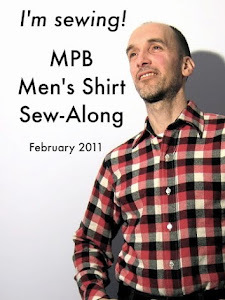 Peter's Edwardian Underwear + New Pattern! 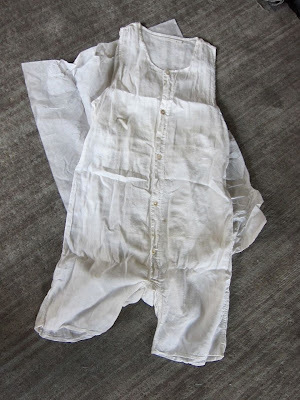 I won this authentic "Edwardian" -- could also be 1920's -- union suit on eBay, new old stock (i.e, unworn). These were my beautiful-but-upside-down paisley cuffs from yesterday.